Your DGB for today is to update your Twitter settings to make Twitter more accessible to the visually impaired. Twitter can be both the best and the worst of the internet. It’s brought us joy and it’s brought us pain, but it should be accessible to everyone and it’s actually super easy to do that. 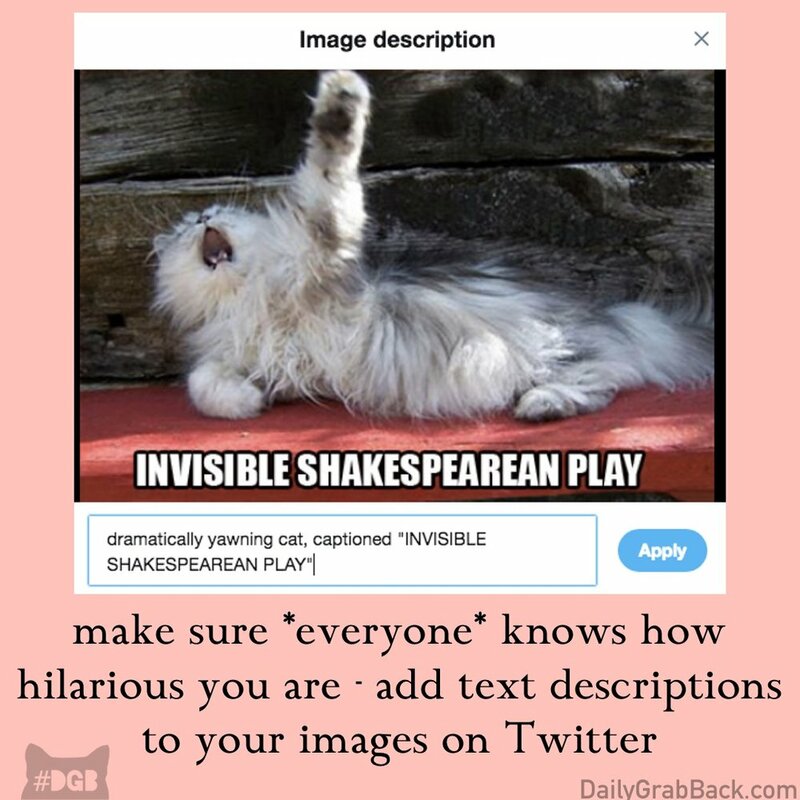 Visually impaired Twitter user Rob Long gave simple instructions on how to add a verbal description to images you post on Twitter so that visually impaired users can participate in all those cat memes you post. Follow the instruction on this post http://www.scarymommy.com/visually-impaired-twitter-accessibility-settings/ and make Twitter more entertaining and informative for all.